ePublishing Knowledge BaseePublishing Knowledge BaseePublishing Knowledge Base Creating and Sending eNewslettersHow do I send an eNewsletter issue? Contact your solutions manager with any questions about associating your newsletter with a mailing list ID or changing the list that you send your e-newsletter issue to. 1. To access the newsletter issue you'd like to send, click on List & Edit next to Newsletter under Editorial on your dashboard. 7. 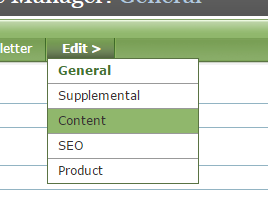 Add a subject line and set the Publish date and time you'd like your eNewsletter to be sent. 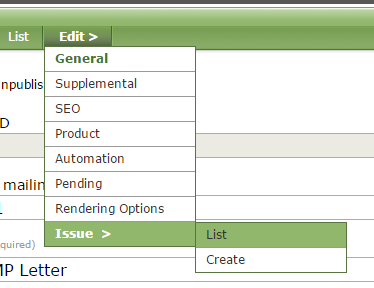 Zoom: Add a subject line and set the Publish date and time you'd like your eNewsletter to be sent. 8. Be sure to test your eNewsletter before sending it. Zoom: Be sure to test your eNewsletter before sending it. 9. 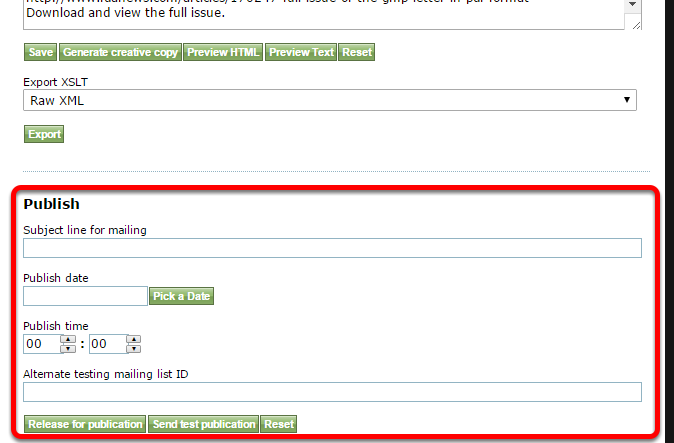 When you are reading to send your issue at the set date and time, click Release for publication. You will be prompted to confirm the release after clicking this button. 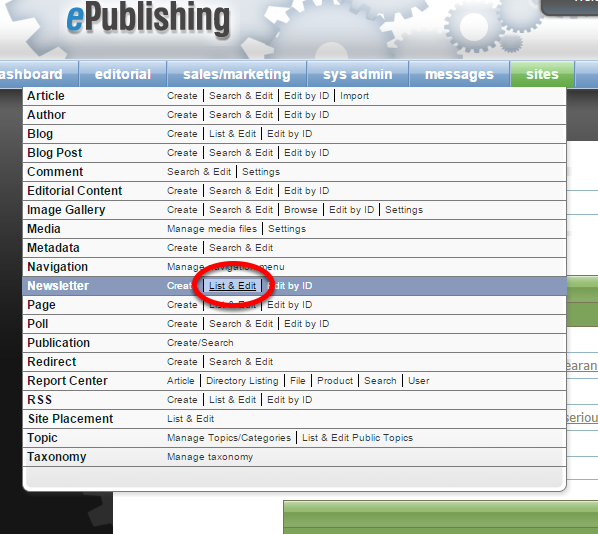 Zoom: When you are reading to send your issue at the set date and time, click Release for publication. You will be prompted to confirm the release after clicking this button. Prev: How do I test an eNewsletter issue?